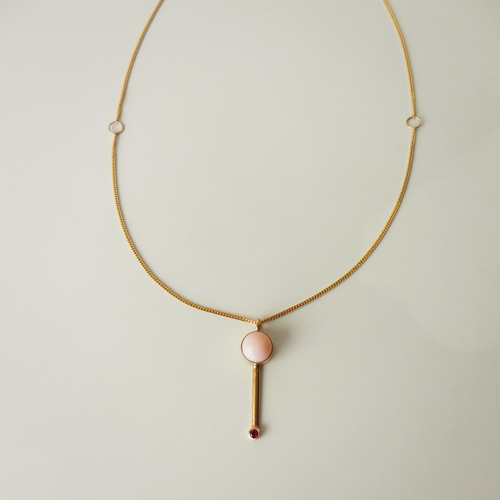 This necklace has a 14k gold pendant drop with an 8mm Pink Opal cabochon, 14k stick piece with a 0.05 ct-0.06 ct AAA grade red ruby. 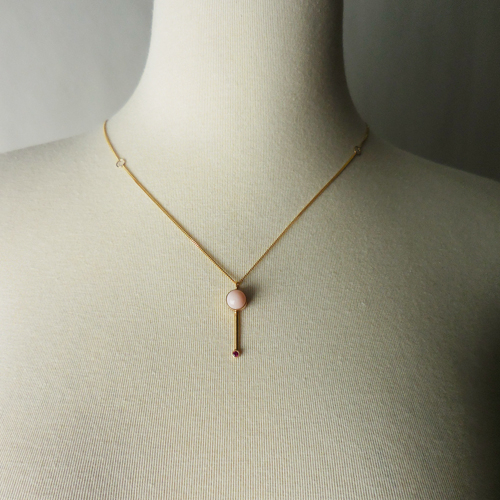 Pendant moves freely on chain,and measures about 3/4" long. May be ordered in all 14k gold as pictured, or with Sterling Silver chain and 14k pendant piece. Please click additional views to see more images.